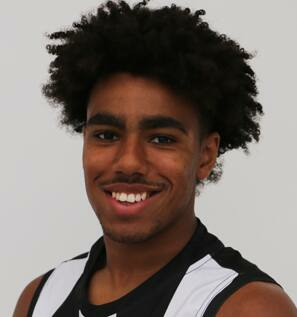 The Collingwood Next Generation Academy prospect can play in defence and in the middle. The versatile Under-18 All-Australian defender can play on both medium and small opponents and is quick and agile. A good decision maker, Quaynor uses the ball effectively by hand and foot. The 18-year-old models his game on Bulldogs speedster Jason Johannisen and Demons defender Neville Jetta, and shapes as a top-20 pick on draft night. Quaynor also surprised himself, winning the goalkicking test at the Draft Combine with a perfect score.